Sherwood Flying Club - a great place to be! The Sherwood Flying Club is first and foremost, a club which is run for the members, by the members. We strive to keep our overheads low and this allows us to keep the cost of flying down, an all-important consideration in these days of rising prices. Our flying rates are still among amongst the most competitive in the Midlands. You can join The Sherwood Flying Club as a social member, a student or as a qualified pilot but whatever level you choose, you can be sure of a very warm welcome. Our membership ranges in age from teenagers to senior citizens with the only qualification required being a love of flying. 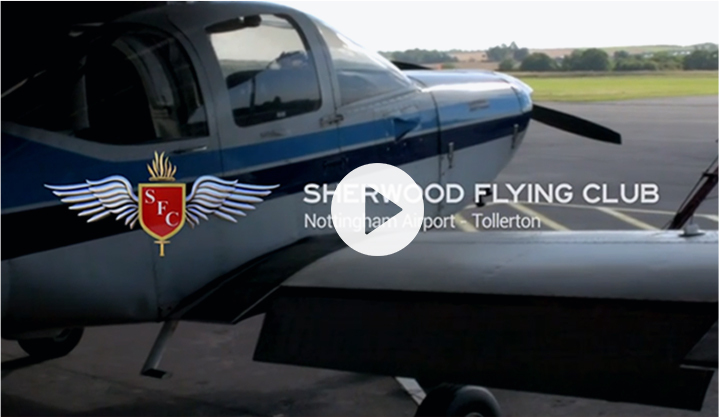 The Sherwood Flying Club have a long established and respected flying training tradition and bring people together from all walks of life who not only love flying but who also want to fly economically and, above all, safely. We have a dedicated team of qualified flying instructors and both training and PPL hire can be undertaken seven days a week, however our club days (Thursdays, Saturdays and Sundays) are where we are open to the public and trial lessons normally take place. These are the best days to come and meet us and have a look around.